Is SMART Technology Taking Over Control In Sport? Athletes spend endless hours improving their techniques so they can perform well during tournaments. Be it weightlifting, bicycle racing, soccer, tennis, or any other sport; a coach is responsible for training champions in their charge, and for inspiring them to continue through exhaustion and pain. It demands patience and dedication from both the athlete and coach to see the desired outcomes. Moreover, coaching takes solid athletic knowledge, experience, leadership, and equipment to accelerate the progress. Most professional coaches nowadays take advantage of new-edge equipment to train their athletes in the best way possible. Thanks to advanced technologies, the quality & performance of sports equipment are constantly being improved. Sports training is a tiresome task filled with frustration and potential pitfalls, but new technology and advanced equipment can make your effort easier. Modern designs and new materials transform the way games are played, leading to change the strategy of the sports effectively. The goal is to make the sports training smarter & better. A wide range of smart sports equipment is available in the market which can track, analyse, and collect the data about an athlete’s performance and techniques. Bluetooth connectivity, accelerometers, motion sensors, and other advanced features are integrated into the equipment with minimum impact on its usability. These improvements have been made possible due to the size and weight of their components. Such advanced technologies do not only help coaches evaluate their athletes but also aid players in assessing how their training is going on. If you want to explore a wide range of smart equipment and the latest sports trends, you must visit Taipei International Sporting Goods Show (TaiSPO) which is going to be held in Taiwan World Trade Center from 28th to 30th March 2019. The total number of booths is expected to reach 4,800, creating Asia’s most complete sporting goods procurement platform. This exhibition will provide professionals from around the world with information on the industry’s latest trends along with excellent opportunities for discussing business partnerships. From uniforms and shoes to gloves and pads, technology has completely transformed the way in which we can design high-tech sports apparel and equipment. This exceptional development in technology has provided athletes with a convenient opportunity to elevate their skills and intensify their performances. One of the significant improvements in sports technology is smart helmets. New helmet technology comes with magnet tech and sensor built-in, which can detect and disperse force while decreasing the chances of head injury. What’s even more, the coaches can also get informed in case of any injury to the athletes, allowing them to take action immediately. Some sensors that connect to the human body can even evaluate if an individual is getting quality sleep. Smart equipment has improved to the point where evaluating the performance has become much more precise, refined, and workable. Now, players can watch and analyse their videos in action and learn to improve their techniques. The same technology can be used to observe how the opposing team performed. The experience of going to see the match live or any sporting event is very different now. Today, Scoreboards are high-end, people have access to recreational devices like hitting machines and batting cages. Well designed with accelerometers, the smart sensor basketball is available in the market which can measure speed and rotation. It can also analyse shots and provide valuable feedback such as ball-handling skills. The data is also delivered in real time to a smartphone so that coaches can track athlete’s performance. With this smart basketball, players can quickly improve their techniques to obtain the best results. Smart tennis racket is another good example of smart sports equipment which allows players to compete in the virtual realm. 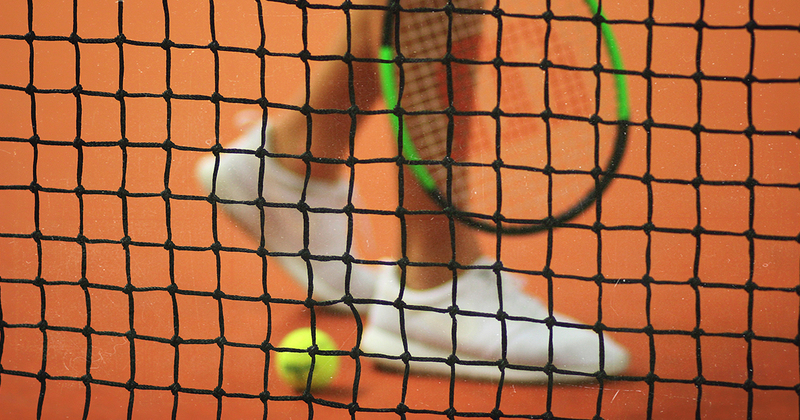 The racquet is designed to analyse most tennis movements such as forehands, backhands, and serves. It can also analyse the strings, swing speed, and the type of swing being applied. The valuable data can also be transferred to a mobile app where the stroke is analysed, providing an athlete with the easiest way to observe any playing faults. Every aspiring runner wants to stay healthy and improve his/her performance. By tracking and analysing different variables such as splits, mileage, pace, heart rate, and total calories burned, athletes can push through to the finish. Smart running shoes can track all these variables and provide feedback which helps runners intensify their performances. Having built-in sensors, these smart shoes are also capable of providing real-time updates and future analysis. You can also find an exclusive range of smart bats in the market which produces a 3-D image for the benefit of athletes and coaches. A well-designed combination of accelerometers and gyroscopes, the smart bats can measure variables such as hand speed, angles, swing speed, and impact. Coaches can use this smart device to compare the swings of players and discover the best technique. All these technologies are placed in a small disk attached to the bat’s barrel which collects data and transfers it to a mobile app. Apart from all these equipment mentioned above, several wearable devices have transformed the way athletes train and perform. From low-level recreational sports to high-level competitive activities, technology has affected sports equipment design at all levels. All you need to do is to find the right equipment for your sporting needs. It’s easy to adopt a new workout technique and start with a new health routine. What’s challenging is actually reaching the goals and taking your performance to the succeeding level. Smart sports equipment and trends can help you become a better athlete and add more feathers to your winning cap.